WALLY KIDD REAL ESTATE, Representing Northern Michigan's finest properties. Wally Kidd is not your typical realtor. Driven by seven generations of tradition in Northern Michigan and as an owner of Kidd & Leavy Real Estate, he handles the sale or purchase of your cherished possession as it if were his own. Never one to over promise, Wally offers his clients a fresh approach to luxury real estate by giving the facts, plain and simple. These facts are backed by 24 years of experience and a knowledge of the marketplace that goes far beyond our local MLS (multiple listing service). Wally Kidd knows that a home up north isn’t just a luxury any more…it’s something that gives us a sense of security. In a changing world, a home up north becomes that special place we return to time and time again to reconnect with family and friends. It becomes a “grounding force”. With today’s hectic schedules everyone needs a place for the things that matter most, like lifelong memories, cherished relationships, and family traditions. No other realtor in Northern Michigan understands the importance of these traditions like Wally Kidd. Wally’s family history on Walloon Lake expands over 100 years and seven generations, he gets it. Real estate is a serious business. Resort properties in Northern Michigan sell for millions of dollars. If you are looking for an articulate, knowledgeable broker, who is well established in the area, you’ve found him. Wally is available anytime to answer your questions and with offices in Petoskey, Walloon Lake and Boyne City he has the area covered. 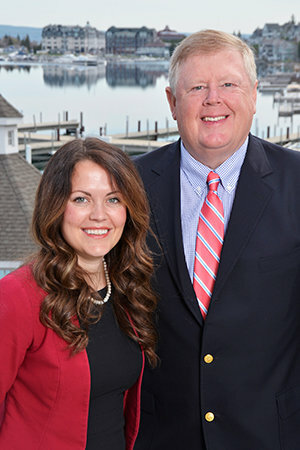 Wally Kidd is your single source for everything Walloon Lake, Bay Harbor, Lake Charlevoix, Burt Lake, Petoskey, Harbor Springs, Torch Lake and more. Don’t hesitate to call or text, (231) 838-2700 or email with questions. Click here to read what our clients are saying!